What wallpaper glue to use for specific wallpapers? Have you tried everything to revamp your home with wallpapers kenya? The tips, ideas, recommendations of “experts”, … You may even start to despair? You are certainly not the only person in this case! Dressing up an apartment or house seems relatively simple, until the moment of taking action. Never be obvious to choose among the different decorative styles that we like and above all, decide where to start! Yet, there is an accessible solution that allows you to revise your interior yourself, easily and quickly, without being or without using a decorating expert. Even better, this solution is also suitable for tenants. Wallpaper, well used, can really change the look and character of a room, sometimes such coating is suitable for all. What is a Wallpaper adhesive or paste? Wallpaper adhesive or wallpaper paste is a specific adhesive, based on modified starch or methyl cellulose, used to fix wallpaper to walls. What is the best glue for wallpaper? The adhesive wallpaper seems to offer a solution. You will discover that this coating offers a lot of different options for the makeover of your interior. If the words, for you, sticker or adhesive are synonymous with simple stickers a little tacky, you may be surprised! Adhesive wallpaper can now be chic and even trendy. It is now available in removable and self-adhesive, in many patterns, which allows everyone (even tenants) to say goodbye to the dull and boring walls. There are so many choices to make when decorating – as if the wallpaper is not bad choice, you should now choose what you will use to stick the wallpaper to the wall. 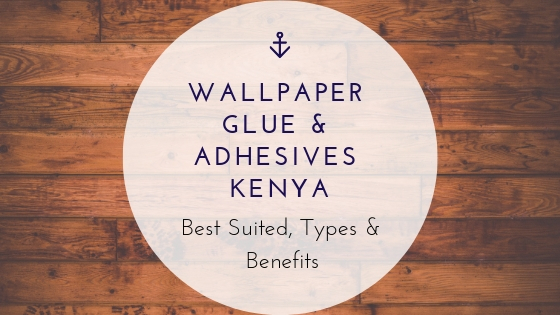 Let our guide on wallpaper adhesives kenya help you choose. With each quality or type of wallpaper corresponds a specific glue. Type of glue For what type of wallpaper? Heavy, thick or heavy-textured wallpapers (including papers to be painted). Non-woven paper glue Non-woven wallpaper. Vinyl frieze glue Vinyl frieze, having a higher fixing power. – Ideal for thick wallpapers like woodchip, vinyl, anaglypta or textured wallpapers. It is depending on the exact composition and manufacturer and also suitable for wallpapers made of textile, silk, grass or cork. – The right choice for light-to-thick paper-based wallpapers. – As well as glue for plastic dispersion and other additives, all of which help to increase adhesion. This type of adhesive can be used alone or added to another textile, metallic and industrial wallpapers. – Designed specifically for non-woven varieties. 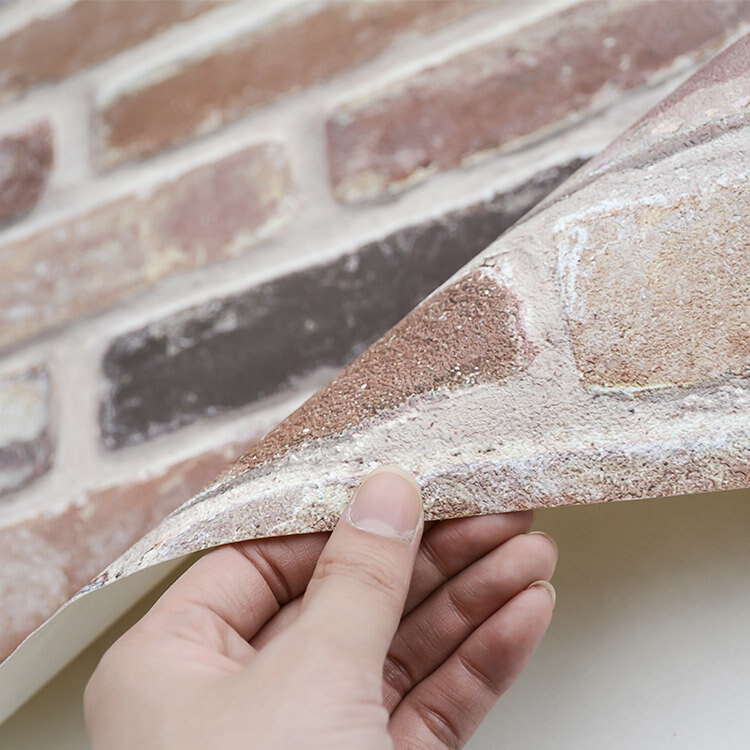 When using non-woven types, the adhesive is applied directly to the wall (rather than wallpaper); this means that the glue must have a good initial adhesion for the dry wallpaper strip to adhere to the wall. Also, the consistency of the glue is almost splash-free. To help identify previously applied parts of the wall glue, non-woven adhesives may contain color markers. However, they are completely transparent once dried. – As the name suggests, this specific adhesive is for device wallpapering. It has a fine consistency and contains synthetic resins for better adhesion. -Based on plastic or synthetic resin. Their consistency and color are distinctly different from the usual types of glue available commercially. Dispersion adhesives can be purchased in containers of different sizes (depending on the surface to be applied). It can be added to the glue to give it a lot more adhesive strength or used alone. This type of adhesive is suitable for heavy and water-resistant wallpapers such as fiberglass, vinyl and textured wallpapers, all of which require high adhesive strength. The dispersion glue is also used as an adhesive to glue borders to wallpapers (for example, vinyl borders on vinyl wallpapers). Handy tubes are available for this purpose and delicate wallpaper repair work. Which glue is suitable for different surfaces? Untreated, dry and absorbent wood, without varnish, wax or resin, is the best surface for gluing the wallpaper. The glue or adhesive to be used depends on the material used for the wallpaper and its permeability to water vapor. The glue should be finely and uniformly spread to prevent soaking of the wood. In most cases, this involves pretreating furniture and other wooden surfaces. Sanding or stripping wood surfaces creates clean, stable, and adhesive surfaces. Once the varnish, wax or waterproofing substances have been removed, the surface must be thoroughly cleaned. It is recommended to apply a primer in order to obtain the best results for highly absorbent wood species. The possibilities are almost endless: cupboards and cabinets (both inside and out), office doors, front drawers, dressers, shelves, screens, tabletops and many other objects can be restyled with wallpaper. However, there is one small aspect that you should not neglect: make sure the colors and patterns of your creative recycling project match the other pieces of furniture and decorations in the room. Otherwise, you could create a feeling unconformity and conflict of styles – especially if you plan to cover large areas with patterned wallpaper. Non-Woven Trendy wallpapers Kenya are particularly suitable for furniture, but you can also use traditional varieties. If you plan to cover large wooden surfaces such as cabinet doors, buffets, etc. it is recommended to do inside as well as outside. The wood expands slightly when it absorbs the wallpaper glue, and it will shrink again when it dries, which may result in slightly deformed or veiled doors or facades if only one side is upholstered. Treating both sides will avoid this side effect. In our instructions on Wallpapers For Bathroom In Kenya and the Guide Wallpapers for Bathrooms and Kitchens, you will find detailed information about the wall covering of walls/tiled surfaces and the items to be taken in account when preparing this type of surfaces. The type of adhesive required depends on the wallpaper and its permeability to water vapor. In general, it will be adhesive with the addition of dispersion glue. The same rules apply for ceramics, natural stone and clay. Because of their smooth surface, plastic, glass and metal do not offer sufficient adhesion for the glue and even a primer cannot be easily applied. Special and dispersion adhesives are sometimes recommended for plastic and metal, but once covered with wallpaper, it is almost impossible to restore them to their original state, and it is particularly delicate and complex to eliminate special adhesives. The cleanest option that leaves the least glue residue is a double-sided tape (for the glass: clear) that is applied to the 4 edges of the surface to be painted. For large areas, another strip of tape should also be applied to the center. The wallpaper strip is then squeezed up and down the sides to middle down while checking for creases and air bubbles. To do this, the strip of wallpaper is smoothed continuously. For glass doors or glass elements on furniture, it is always the interior that is painted. In general, the types of commercially available adhesives listed above are suitable for concrete, cement, gypsum/plaster and drywall. For all types, surfaces must be carefully prepared. You will find more information about this in our instructions on how to wallpaper a room in Kenya – a complete guide. In general: it is not so much the type of surface as it is about the quality/consistency. In addition, permeability to materials and water vapor plays an important role. In most cases, it is recommended to apply a primer in order to obtain the best results, to know more about wallpaper and order one that matches your needs visit Raveras.